It was meant to be Fox’s big science fiction release of 1977: the post-apocalyptic Damnation Alley, in which a small group of survivors must traverse the width of America to find sanctuary, battling mutant insects and deranged humans on their way, in the aftermath of nuclear war. But along came you-know-what, and all of a sudden those mutant insects didn’t look quite as impressive. It was eventually released to minimal acclaim late in the year and developed a bit of a reputation as a turkey, though looking back from a distance it seems eminently watchable, if silly. 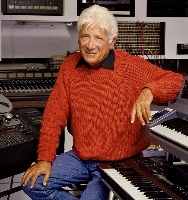 The great Jerry Goldsmith could make most things watchable. This was his third and final film with director Jack Smight after The Illustrated Man and The Traveling Executioner – such a disparate band of films and scores. For years, the score was the stuff of legend – thought for a long time to be lost, it was “almost” discovered in the early 2000s, but the tapes were frustratingly missing the synth overdubs so important to the music. The parts of the score that didn’t rely so heavily on synths were released (without the greatest sound quality) as part of Varèse Sarabande’s mammoth Goldsmith at Fox box set in 2003 and now, a decade and a half later, the score finally gets a full release, with the full Mike Matessino remastering treatment – “almost”! The synth overdubs are still lost – so instead Intrada commissioned Leigh Philips to reconstruct them – and here is the fruit of everyone’s labours. 1977 also saw the release of Twilight’s Last Gleaming and Capricorn One, and those familiar with those Goldsmith scores will know what to expect. Even by his standards, the late 1970s were a fruitful time, with exceptional music coming at every turn – these action thrillers produced some great material. The echoing, tense little motif which opens Damnation Alley is actually very closely related to a motif in Twilight’s Last Gleaming, though the composer takes it off in different directions in this score. The main title piece combines that motif with the more expansive main theme of the score – it’s an incredible piece, pulsatingly exciting but leaving no doubt as to the tension ahead. Pulsating, abrasive electronics open “A Different World” – sparse, Stravinsky-like orchestral accompaniment with some intriguing dissonant textures soon join in and offer a harsh soundscape. “Valley of Death” introduces action to the score – and there’s no shortage of it. Fast-paced, breathlessly exciting, it’s vintage action music from the composer who did it better than anyone else. The brass writing is so complex – I love how Goldsmith always tried to smarten these films up, however dumb they may have been. In “The Landmasters” (named for the vehicle in which our heroes are traveling – the aspect of the film which actually attracted the most praise) things are initially a little more low-key, but the orchestra swells up into a magnificent crescendo of the main theme. A brief (barely recognisable) burst of the main theme opens “The Voyage Begins”, then after a brief interlude of expansive action (not dissimilar to a passage in the composer’s Breakout) the main theme goes into full-on action mode, exciting and rhythmic, perfectly expressing forward motion. More action follows in “Signals”, all the familiar ingredients thrown into the pot – the constant motivic development, the martial percussion, furious strings (well, except violins – there aren’t any anywhere in the score) – and here, a fair amount of heavy-lifting from Philips’s synths. A more expansive take on the main theme comes in the first half of “The Desert”, before some lovely pastoral material appears later. There’s a brilliant quote in the album booklet about “Don’t Bug Me”, which underscores a part of the film where the insect special effects are not quite as special as may have been intended – so Goldsmith said he felt the need to “write one of his wildest action cues ever to distract viewers from the effects.” And he did – it’s brilliant, vintage Goldsmith. There’s more fantastic action music in the brief “A New Passenger” before one of my favourite tracks, “Refuelling Stop”. Fairly late in the score, the composer introduces a new theme, an expansive one, bringing real optimism into play in the music for the first time. It’s just wonderful. After some dark material that opens the cue, the theme is reprised in “The Wrong Order”; then in “A Storm Brewing” there is some more harsh, dissonant music – it sounds more like it might come from a horror score. But finally, there’s the release, in “A New Day” – it slowly builds, shimmering, like the sun coming up over the horizon. And it’s so beautiful – Goldsmith was so amazingly good. Only he would have written a piece like this for a film like Damnation Alley. Finally, there’s a lovely arrangement of the main theme for the end credits. ﻿﻿﻿﻿﻿ Praise is due to everyone who worked on this album – producers Nick Redman and Matessino, executive producers Douglass Fake and Roger Feigelson, liner notes author Julie Kirgo – but I have to give Leigh Philips a special mention. He wowed people a few years ago with his reconstruction (including synths) of the composer’s The Salamander for the Tadlow/Prometheus re-recording; arguably what he’s done here is even more impressive, reconstructing the vintage sounds, performing them and then having them integrate so seamlessly into the original orchestral tracks recorded forty years earlier. And it really is seamless: I’d never have known they weren’t the original recordings. The score may only be half an hour long, but there is so much packed in – and Goldsmith doesn’t waste a note. He really did write remarkable film music through all periods of his career, but there’s something about the period in the late 1970s and early 80s that is somehow extra special. The composer’s fans should celebrate this release – a prime score from his most incredible period, thought lost, now found. The sound is a big step up from the excerpts heard on the 2003 release, but admittedly remains far from perfect – honestly though, that’s the last thing you’ll be thinking about when luxuriating in the genius of Jerry Goldsmith.